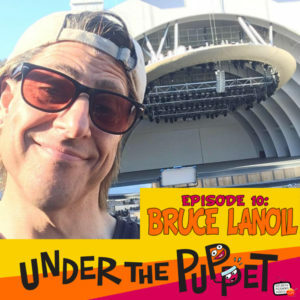 http://www.UnderThePuppet.com – This month I interview puppeteer Bruce Lanoil. We speak of his work with The Muppets where he worked alongside Frank Oz, Dave Goelz, Jerry Nelson and more. We also cover his work on the film Monkeybone, his first job in puppetry and his voiceover career. After the interview, I talk about two fun books on puppet building by puppeteer John Kennedy. Check out Puppet Mania! and Puppet Planet on Amazon.